Cairo, 1937: French-born Colette Rossant is waiting out World War II among her father's Egyptian-Jewish relatives. From the moment she arrives at her grandparents' belle époque mansion by the Nile, the five-year-old Colette finds companionship and comfort among the other "outsiders" in her home away from home -- the cooks and servants in the kitchen. The chef, Ahmet, lets Colette taste the ful; she learns how to make sambusaks for her new friends; and she shops for semits and other treats in the Khan-al-Khalili market. Colette is beginning to understand how her family's culture is linked to the kitchen...and soon she will claim Egypt's food, landscape, and people as her own. Apricots on the Nile is a loving testament to Colette's adopted homeland. 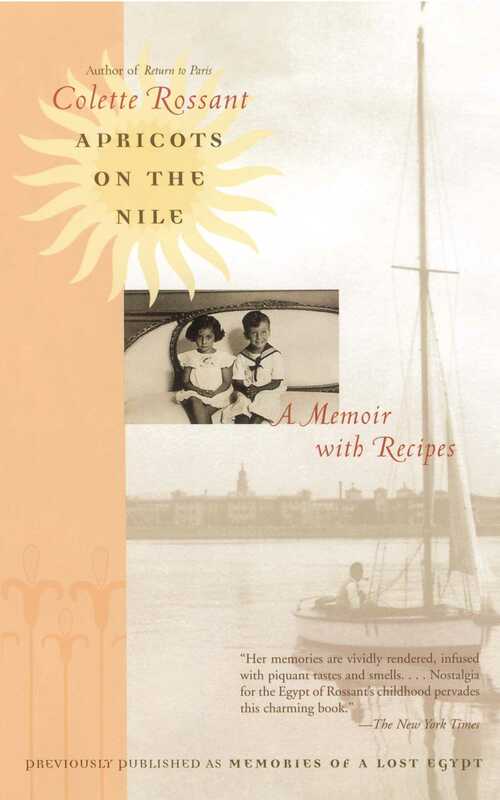 With dozens of original recipes and family photographs, Colette's coming-of-age memoir is a splendid exploration of old Cairo in all its flavor, variety, and wide-eyed wonder. 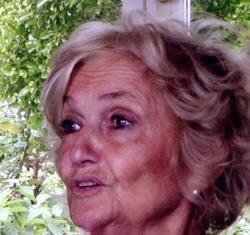 Colette Rossant is the author of eight cook-books and the memoirs Apricots on the Nile and Return to Paris. A James Beard Award-nominated journalist, she divides her time between New York and France. The New York Times Her memories are vividly rendered, infused with piquant tastes and smells....Nostalgia for the Egypt of Rossant's childhood pervades this charming book. Chicago Tribune [Y]ou'll find vicarious pleasure in reading about this gourmet's life. Daily News (New York) [E]ngrossing not just for its lovely style of writing but because Rossant's life has been so unusual and interesting. And getting the recipes for some of the dishes she reminisces about is an added bonus! Alice Waters This is the kind of writing about food that stimulates your senses and connects you to the important traditions of the table....I am enchanted by this memoir.